... in a world that demands flexibility, lauds the multi-tasker and pronounces that today’s 15-year-old will have about 20 different jobs throughout their career... it isn’t difficult to build the argument against the specialist. You can see how the person who does one thing well could be dismissed as unsuitably equipped to make their way in life. Where the contemporary phrase ‘keeping your options open’ can be matched with another trendy term, ‘the collective wisdom’, doing one thing well, might be the foolhardy approach. The caveat though is if that one thing, done well, is something the person loves doing. Did you ever do one of those career aptitude tests? A company called Career Wise visited my school in the 1980’s. I was in Year 9. We all sat in the school hall and under exam conditions filled in the multiple, multiple choice circles with grey lead pencil. There was an IQ component as well. The company then collected all the answer cards, took them to their office to feed into a big computer. Computers were big then. Some weeks later, we all went back into the hall with our mums and dads and listened to a person from Career Wise explain the science behind the results. We sat down with individual consultants and they presented us with our envelope with the personalised print-out of our strengths and weaknesses. There is a glut of international sporting competitions right now. Amongst The World Cup, Le Tour and the Commonwealth Games, The Open Championship – one of the four world majors – was held at The Royal Liverpool Golf Club two weeks ago. Over the last few years, I have started to notice one person particularly in this tournament. I’ve had a quiet chuckle to myself wondering at the career aptitude test that a gentleman named Ivor Robson might have taken when he was 15. 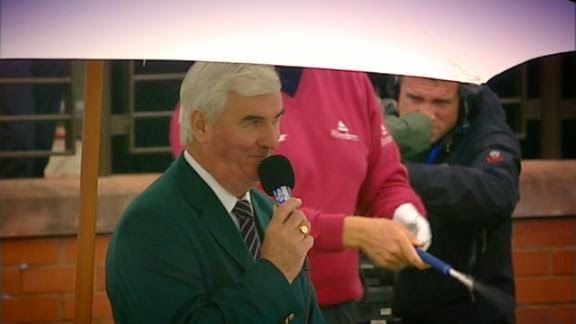 Would Ivor’s test have turned up First Tee Announcer? Probably not. Ivor Robson is the man who announces the names of the players hitting off at the first tee. And that is part of his magic. He simply announces the names and the country they come from.No curriculum vitae of the player’s achievements (one exception is that he acknowledges the defending champion). No big build up. I don’t know the name of any of the guys who announce at the other three majors. Why do I know Ivor’s? Because I started started to notice that each year he was always there. I like his minimalist approach, his mastery of difficult names and the distinctive musicality in his voice. He makes me smile. This simple talent prompted me to find out more. His story is delightfully interesting. 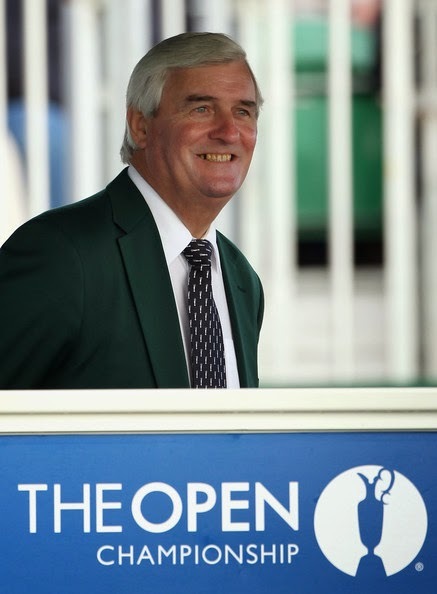 Ivor has been the announcer at The Open for 40 years now. He arrives at the tee 90 minutes before the first group and he never takes a break, a snack or a sip of water. In fact he doesn’t take a toilet break. This would explain his routine of refraining from eating or drinking from 7pm the night before. Until the last group tees off, Ivor remains, standing, at his post. He checks the players have the regulation golf balls, ensures they don’t have more than the maximum 14 clubs allowed in their golf bag and gives them their score cards. Sending 156 players off in the first two days, he will be at his station for upwards of ten hours. Ivor is meticulous about keeping time and there is no fear or favour – if a three time major winner is late, he’s disqualified. Sending 52 groups off in the early rounds, you can understand why, when quizzed about his job, Ivor has offered that he needs to maintain strict concentration. You can see I’ve become something of an Ivor Robson groupie. 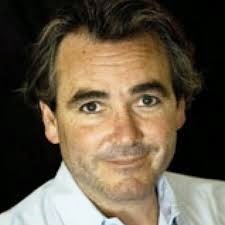 I've, err, (pardon the intentional pun) learnt that: he has never answered a question about his exact age; Ivor breaks the difficult-to-pronounce names into manageable phonetic bits and his advice to the aspiring announcer, is to say the name once, and convincingly. It is easy to pick up that Ivor simply loves the game. And he is humble. At last year’s tournament at Muirfield, he was asked about his legacy after he retires (one day). This year, Ivor received that classic accolade... what do they say? The greatest form of flattery is imitation. Have a look at this. Ivor Robson does one thing well. And here are three others who belong in Ivor’s class. John Donegan was in my year group at my school. He would have taken that same Career Wise test. Maybe they got him right. Search John on the web and you'll find that he sold his first photo when he was 14. I remember John, as a student, seemed like he almost had his own set of keys for the Media area. He was always developing his latest set of photos in the dark room. I’ve enjoyed following John on Twitter in recent times. A couple of weeks ago, he travelled around Australia's major cities and captured scenes from his angle of vision. It is great art. He has mashed those city shots with photos taken of the same scenes back in 1914. It is late July as I write this. One hundred years ago, most Australians would have been innocently unaware of how close they were to the beginning of The Great War. Check John's work out here. It is a sublime concept, professionally executed. 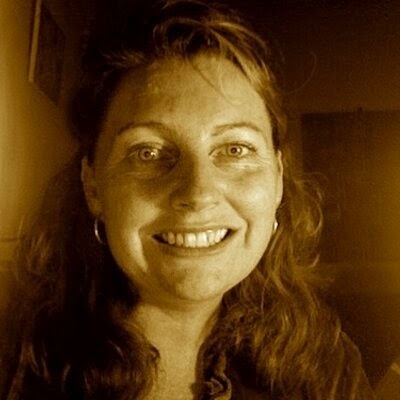 Julie-Anne Geddes was my work supervisor in a volunteer year I did in Sydney in 1989. She coordinated a coffee shop, which was a special work of the local Anglican parishes, for the transsexual prostitutes who worked on William Street down from Kings Cross. Julie oversaw this safe place, called PJ’s, ensuring these ladies could come and take a break from their work and she looked after the eclectic group of volunteers in her charge as well. She was always a grounded, kind helper. Now living in Wollongong with her family, Julie is a psychologist with well, that Julie spark. No doubt she would be doing untold good for the folk she supports. I've just ordered her recently released, first book Acts of Love: a thousand ways to sustain love. Can't wait to read it. And finally, how do you fancy being lost for 92 minutes within a beautiful story? Then see Still Life. Eddie Marsan's performance is masterful as he occupies the character of the utterly decent, selfless council worker, John May. What’s the one thing that John May does well? He has worked for 22 years carefully, respectfully trying to find the next of kin of those who died alone in his South London borough.Oh yeah, Joanne Froggatt of Downton Abbey fame puts in a wonderful performance too. Ivor Robson, John Donegan, Julie-Anne Geddes, John May (and Eddie Marsan) all do one thing well, very well. And in their work, you easily spot the generosity that emanates and delights. They love what they do and they are good at it. It’s underrated but I reckon it is worth encouraging our kids to explore their hearts to find that one spark that fires them more than any other option. This story is dedicated to my young bloke Jack who turned 18 earlier this month. Jacko - you could be a philosopher - in fact you are a philosopher. You are a bloody good actor as well. I know I may not put my advice at a premium - you probably get too much of it from your less than perfect old man... all the same... Son - work out what is it is that you truly love doing and then do that one thing well – maybe, against the tide of collective wisdom, for a lifetime.